Royal Challengers Bangalore will take on the two-time champions, Kolkata Knight Riders, in the 17th Match of the 2019 IPL. These two sides have met each other 22 times in the tournament with KKR leading RCB 13-9 head to head. KKR had won both its matches against RCB in the 2018 IPL. The longest winning streak in matches between these two teams is four. KKR won four consecutive matches against RCB between IPL 2017 & 2018. 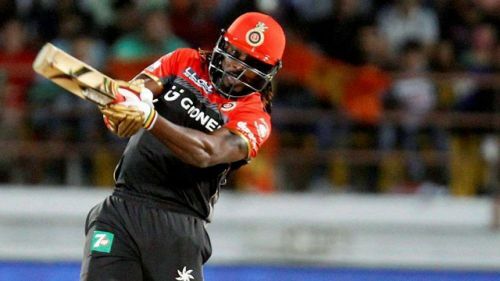 Chris Gayle playing for RCB has won the most number of Player of the Match awards (4) in matches between these two teams. Ashok Dinda, Brendon McCullum, Charl Langeveldt, Cheteshwar Pujara, Chris Gayle, Chris Woakes, Colin de Grandhomme, Dinesh Karthik, Eoin Morgan, Iqbal Abdulla, Jacques Kallis, Jaydev Unadkat, Manish Pandey, Mark Boucher, Murali Kartik, Robin Uthappa, Umesh Yadav, and Vinay Kumar have played for both RCB & KKR. On that note, let us now take a look at some of the key stats from RCB vs KKR matches in the past. 222/3 scored by KKR in IPL 2008 is the highest team total in RCB vs KKR matches. 49 all out by RCB in IPL 2017 is the lowest team total in matches between the two sides. 606 runs scored by Chris Gayle is the highest number of runs scored by a player in matches between the two sides. He scored 532 of them playing for RCB & 74 of them playing for KKR. 158* by Brendon McCullum playing for KKR in 2008 IPL is the highest individual score in matches between these two teams. The only other player to score a century in these fixtures is Chris Gayle who scored 102* playing for RCB in 2011 IPL. 31 half-centuries have been scored in matches between these two sides. 5 half-centuries hit by Gautam Gambhir of KKR is the highest number of half-centuries hit by a player in these fixtures. 251 sixes have been hit in matches between these two sides. 41 sixes hit by Chris Gayle is the highest number of sixes hit by a player in these fixtures. He hit 40 sixes playing for RCB & 1 six playing for KKR. 57 fours hit by Gautam Gambhir is the highest number of fours hit by a player in these fixtures. 17 wickets taken by Vinay Kumar is the highest number of wickets by a player in these fixtures. He took 13 wickets playing for RCB & 4 wickets playing for KKR. 4/18 by Lakshmipathy Balaji in IPL 2012 is the best bowling performance by a player in matches between these two teams. 11 catches taken by Virat Kohli of RCB is the highest number of catches taken by a player in matches between these two teams.